Date notes: Time estimated. Camera date/time stamp incorrect. 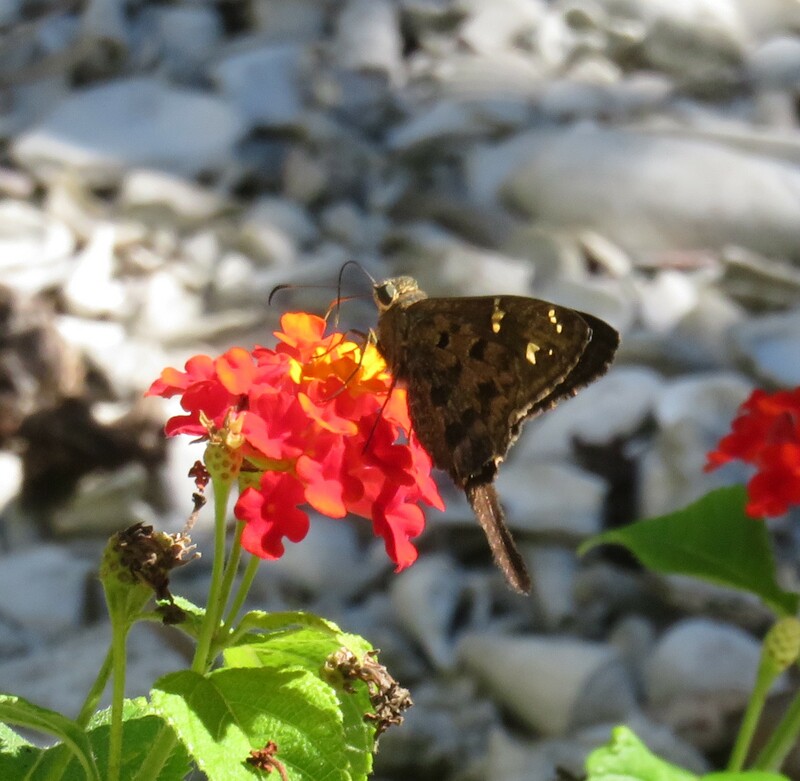 Observation notes: At least 5 skippers nectaring on lantana or porterweed. 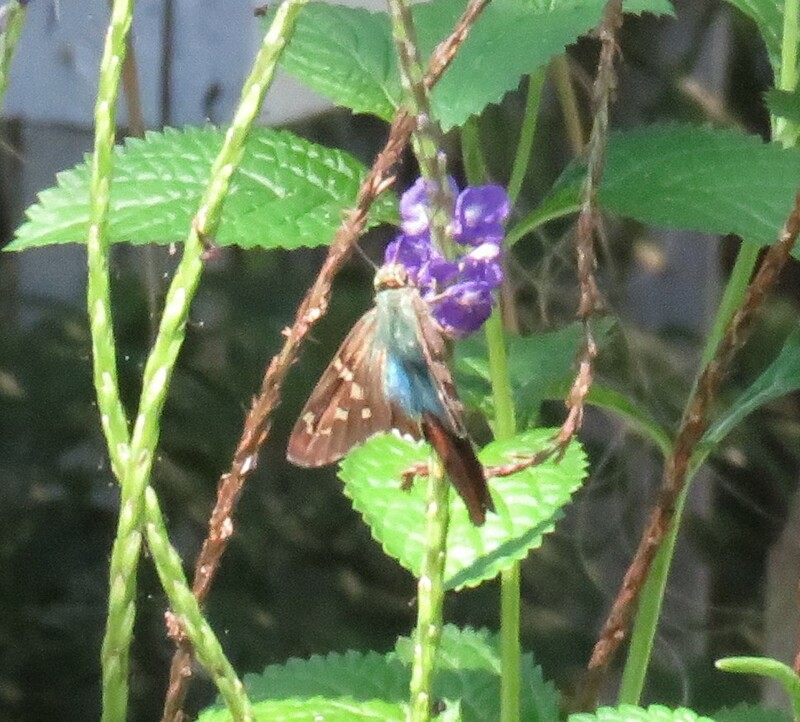 Coordinator notes: These images portray to different species: Urbanus dorantes and U. proteus. I have identified the first image.